Ilhan Omar isn’t waiting until she is sworn into office in the US Congress in January to start getting things done. The Muslim Somali-American woman, who won election on Nov. 6, succeeding fellow Muslim Keith Ellison to represent Minnesota’s 5th congressional district, is already making waves. Big ones. After her election, Omar, 37, announced her support for the boycott, divestment, sanctions (BDS) movement that fights Israel’s human rights violations against Palestinians. Prior to the election, Omar said that BDS was “not helpful” in achieving peace through a two-state solution, but this week she augmented her comments, explaining that she believes in and supports the BDS movement, and she opposes efforts in the US to criminalize its supporters. So far, 26 American states have adopted or are adopting laws to deny business to anyone who refuses to sign an affidavit that they do not support a “boycott” of Israel. Federal judges in two states, Kansas and Arizona, have agreed that the anti-BDS laws are unconstitutional and a violation of the rights of all Americans to free speech. But efforts are underway in Congress to adopt the same legislation nationally. The law stumbled when its primary sponsor, Congressman Peter Roskam, was booted out of office by voters in Illinois. 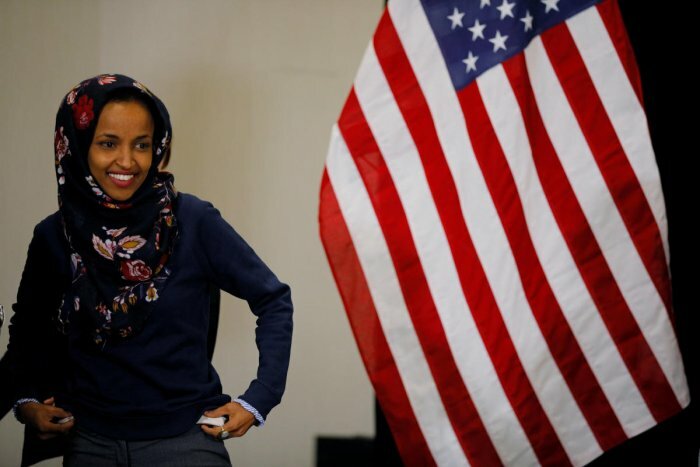 And Omar’s presence in Congress might help boost efforts to block the adoption of the law, which is spearheaded by Israel’s political action committees (PACs) and activists based in the US. This week, the fight against Israeli apartheid gained another champion in Airbnb, a website that allows homeowners to rent their properties. Airbnb announced this week that it will no longer list properties located in the illegal Israeli settlements; maybe empowered by the growing stand against apartheid practices. The fight against Israel’s apartheid policies is a moral and righteous cause that reflects the very same fight Americans led in the 1980s against South Africa, which imposed laws similar to those in Israel that discriminate against the population based on race. Israel’s laws allow discrimination on the basis of race and religious belief, giving Jews significantly more preference and advantages as citizens over non-Jews who are citizens, while also denying basic human rights to civilians living under Israel’s military occupation. Omar can give a voice to the anti-apartheid efforts in Congress, where many supporters of Israel have fought to suppress criticism. She will also be strengthening that fight by broadening her concerns to include other actions against discrimination. Currently, Congress has a law — adopted in 1837 — that prohibits any member from covering their head. The law was adopted when all members of Congress were male and it was intended to require members to remove their hats when entering the chamber. Omar, who wears a hijab, has argued that the law cannot prevent people from exercising their religious rights. Placing a focus on the hijab as well as on BDS and other pro-Arab and pro-Muslim issues defines the concern for what it really is: One of protecting the constitutional civil rights equally for all Americans (some of which are being challenged by the efforts of a foreign nation, Israel). Omar will have the support of many other members of Congress, including Rashida Tlaib, another Muslim and a Palestinian American who was voted in this month. Their elections to Congress have made Omar and Tlaib icons of a growing movement for equal rights, especially for women, ethnic minorities and people of color. Their elections to Congress have made Omar and Tlaib icons of a growing movement for equal rights, especially for women, ethnic minorities and people of color. They have a unique opportunity to take up this fight against Israel, which has come to symbolize a government that brazenly champions discriminatory policies as a means of augmenting one religion above all others. Individually, they are just two of 435 members of the House of Representatives, which traditionally has turned a blind eye to Israel’s human rights violations, and has even openly defended those abuses. But, through their uniqueness as minority women, Omar and Tlaib have a rare opportunity in which they can give powerful resonance to the fight against human rights abuses from inside the very halls of the US Congress that currently harbor Israel’s human rights abuses. If they just did that, it would be a greater achievement than the efforts of all the other members of the entire Congress.